Every once in a while I get to go out to lunch with my coworkers on the company. In a previous time in my life, this would be when I ask the waitress to back up a garbage truck to my table and poor as much food as possible into my mouth. No so much any more. Actually, I kind of enjoy eating out now because I choose items based on calorie counts. I have found a whole new world of food I love that I never would have tried before. I found such a dish at Chili's that has now become a food staple in our house. 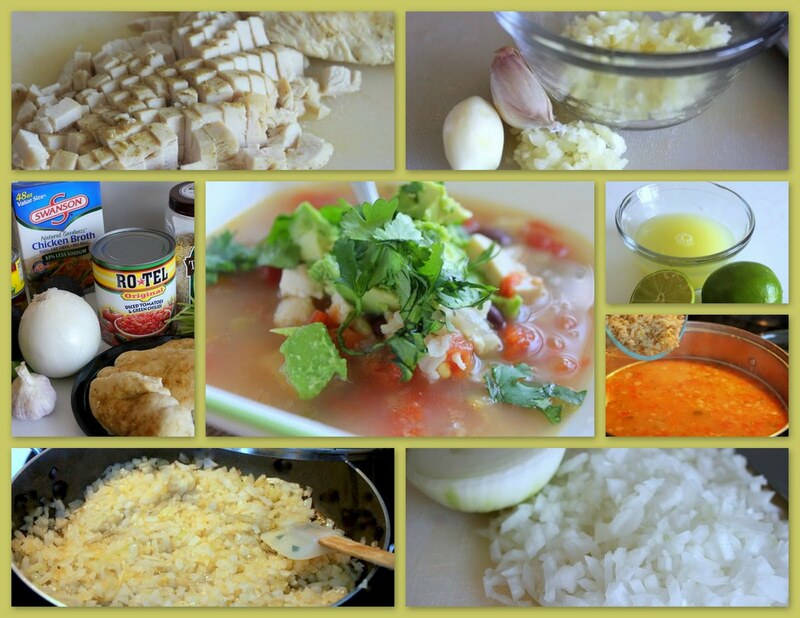 It's a fabulous Green Chili Chicken and Lime Soup. 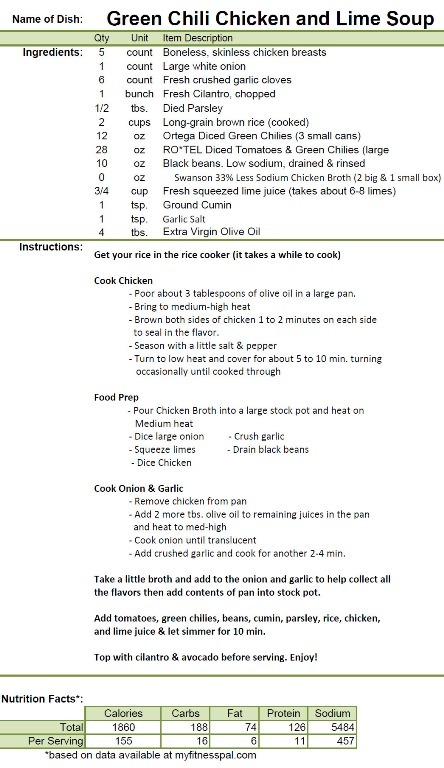 Thanks to Picky Palate for posting her version of the recipe. I used it as a launching pad for my recipe. That sounds like something we'd love. We'll definitely be trying it. Thanks! That sounds like a great soup. I think I've had something like that before. I will have to make this soon! Thank you! I was just writing down soups and couldn't think of that many...this puts mexican into play. That sounds awesome! Thanks Mike. It satisfies my craving for Cafe Rio completely that's what I love about it. Mmm so good. I just found your blog, and I need to start by saying thank you. Thank you for being you and fighting for your health out loud! Second, OHHH GOODNESS -- that soup looks amazing!